Heck to the yes I like this outfit! The pop of orange against the blue with the red pout...KILLER! Love it! LOL # ScottDisick-y hair part HAHA! You are killing it with this look! I would have gone with bigger hair, but otherwise? Flawless. Androgyny is so chic. 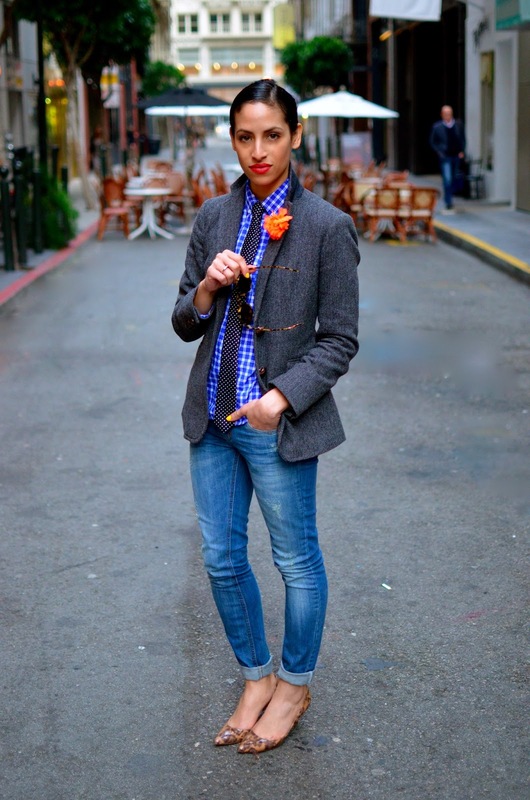 Woman in menswear is killing it. This is so rad! Love it, Carlina! from the first pic i thought u were from a streetstyle shot coming out from a fashion show. I’m amazed by your styling talent, and you look stunning here! I’m so inspired by your incredibly chic look. Love it! The combo squares and polka dots is a yes!!!! You inspire me for my outfit today. OMG! Obsessed! This is perfection head to toe! this is so amazing. 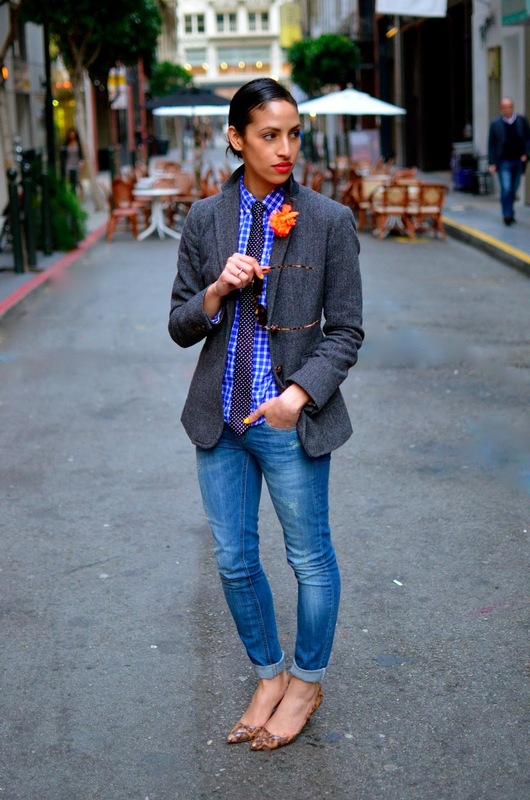 I love menswear and this one is definitely a good one! Stop. You're killing me with this outfit. 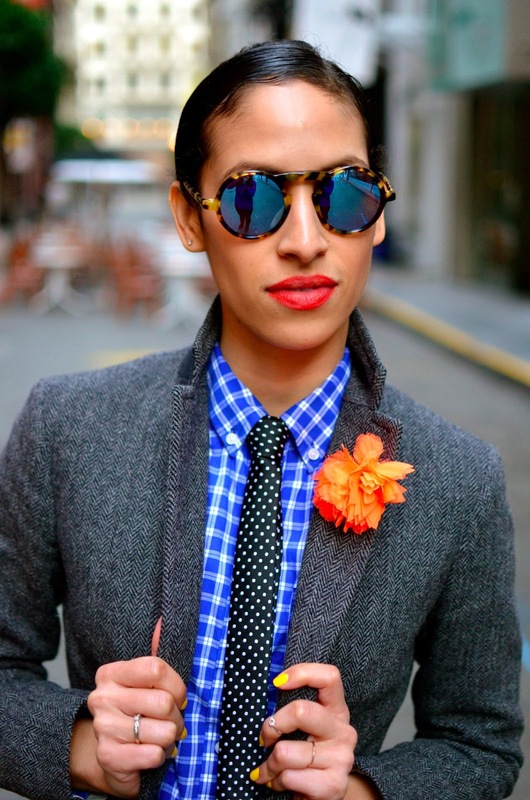 I could never pull this off the way you do, Carlina! Ok I NEED your skin care tips! my skin is so sad and tired this time of year; you're glowing! 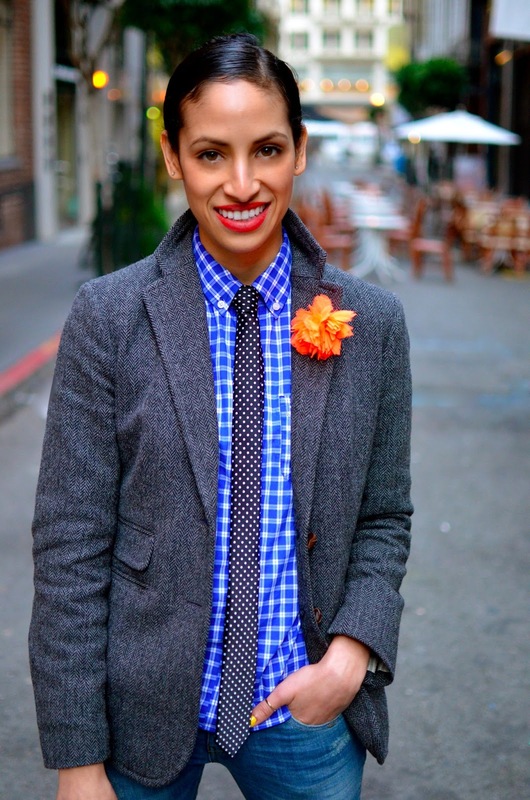 YESSS your pattern mixing is badass! You get it right all the time!